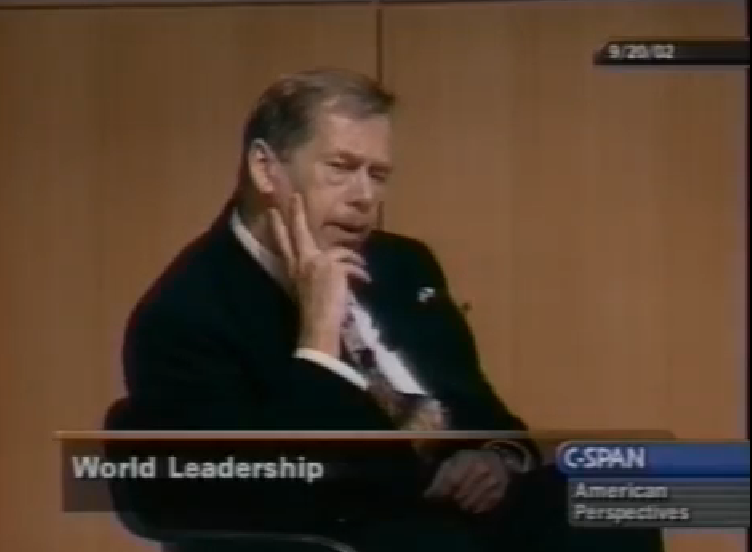 Havel ArchivesContinuing Leadership as World Citizens September 20, 2002 President Clinton, President Havel, and Mr. Wiesel talked about world leadership, promotion of democracy, human rights, and America’s role in shaping global policy. 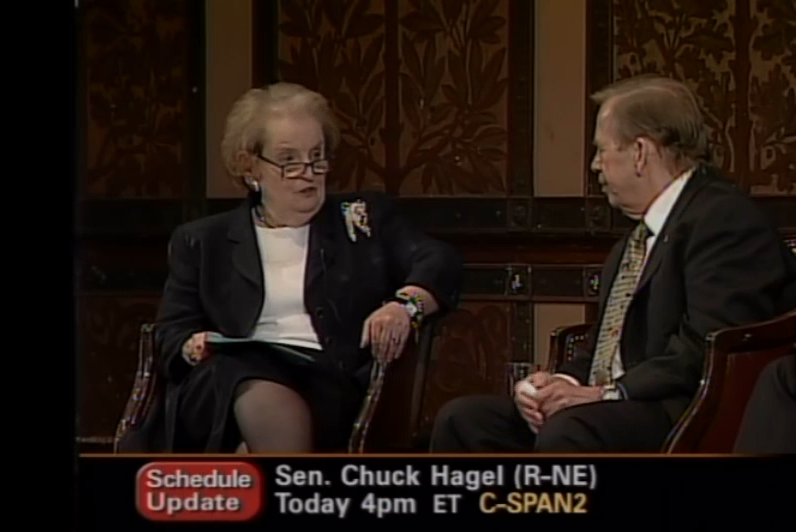 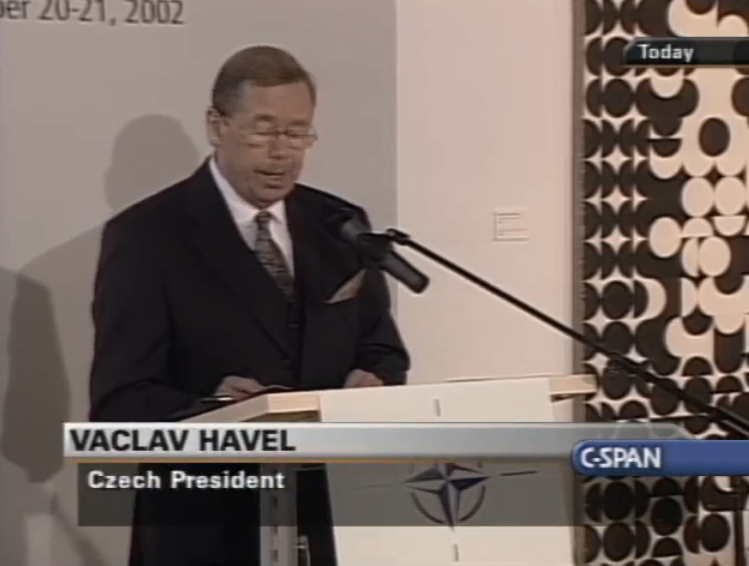 Following Mr. Havel’s remarks they answered questions posed by the audience. 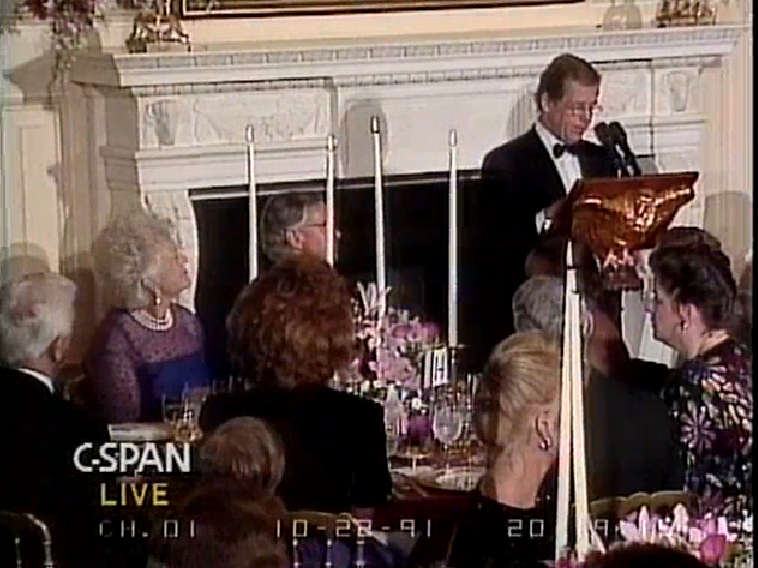 Havel ArchivesCzech President Official Dinner Toasts September 16, 1998 President Clinton and President Havel toasted each other. 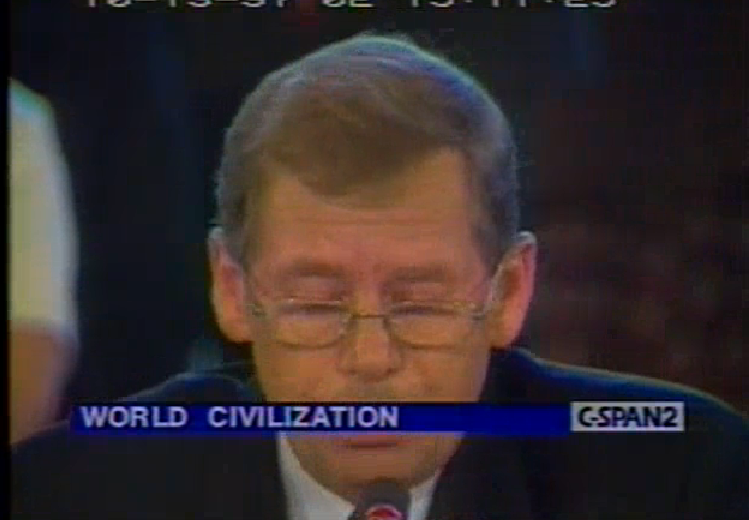 Translation into English was done by a translator. 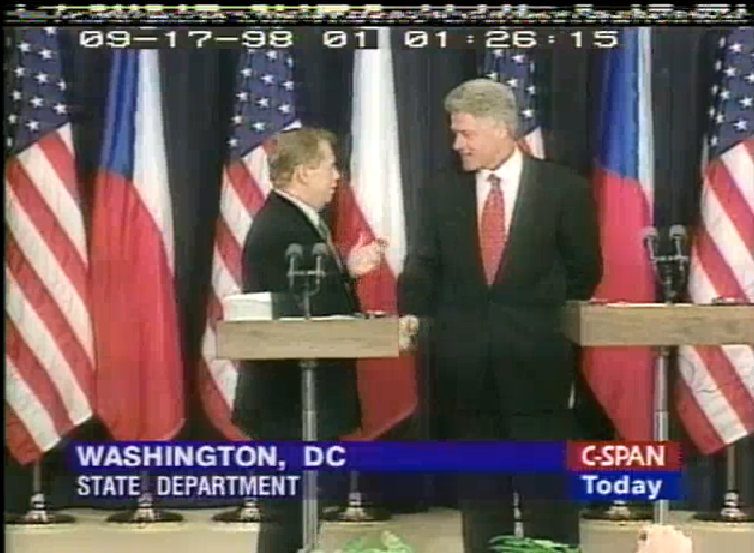 Havel ArchivesCzech President Receiving Line September 16, 1998 Prior to a state dinner, President Clinton and President Havel received guests. 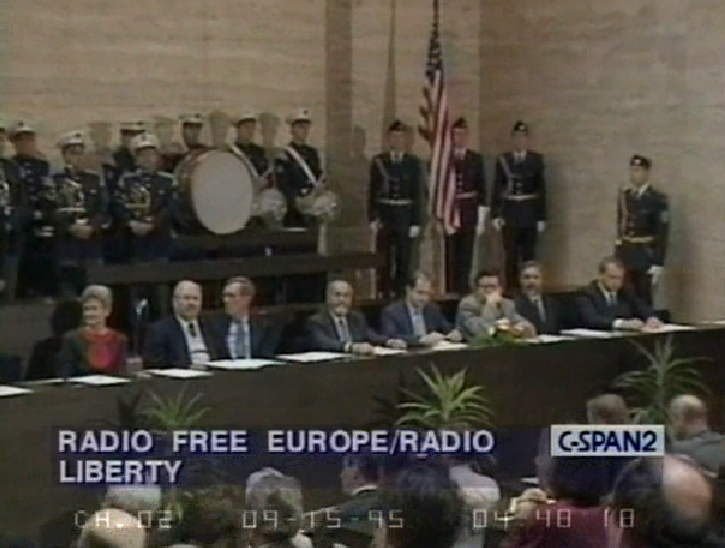 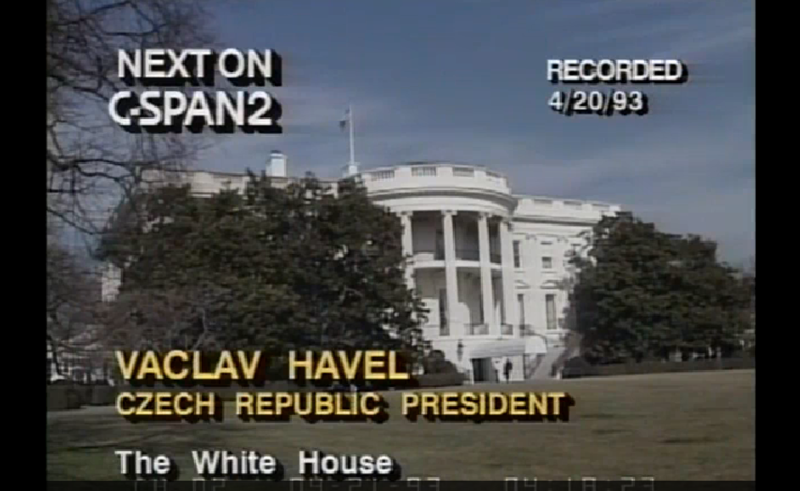 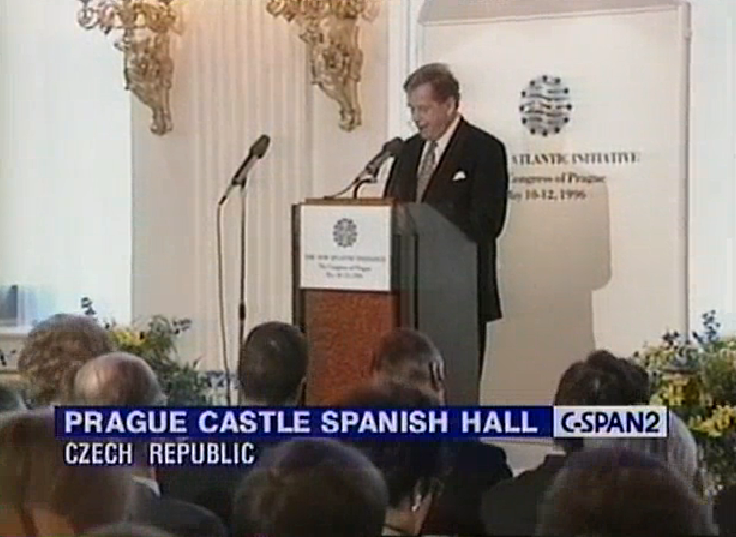 Havel ArchivesU.S.-Czech Joint News Conference September 16, 1998 President Clinton described President Havel’s difficulties and successes in starting a new government in the Czech Republic. 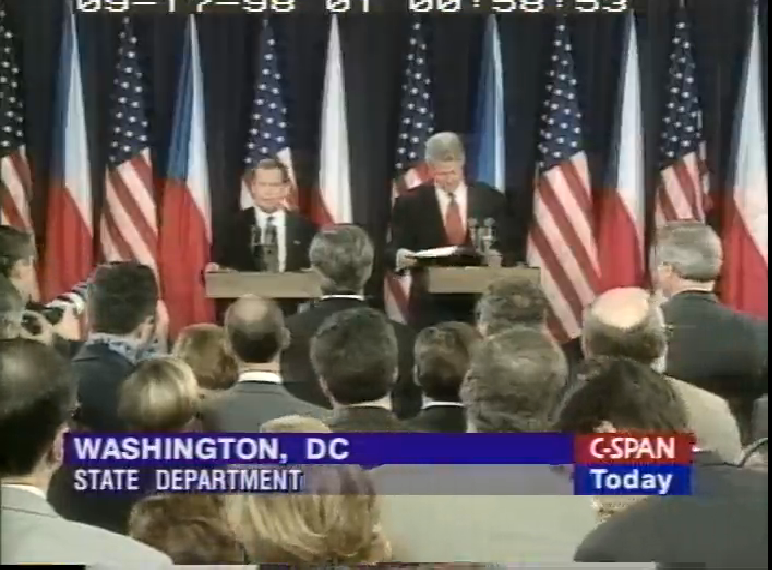 After his prepared remarks he took questions from media. 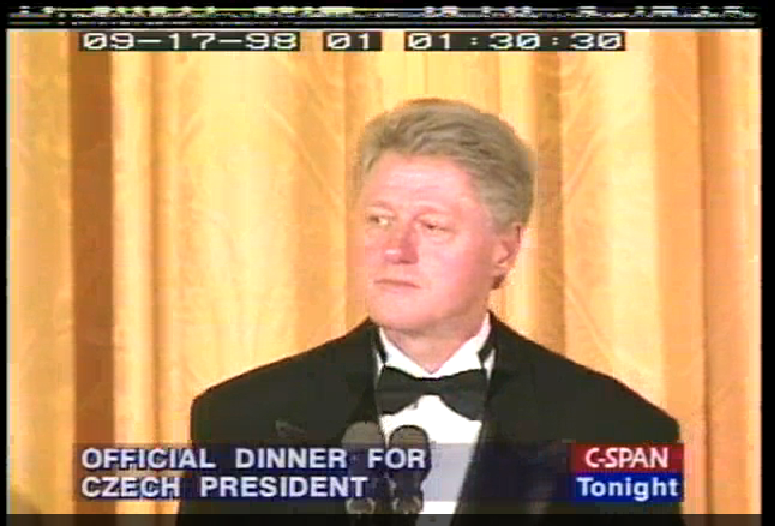 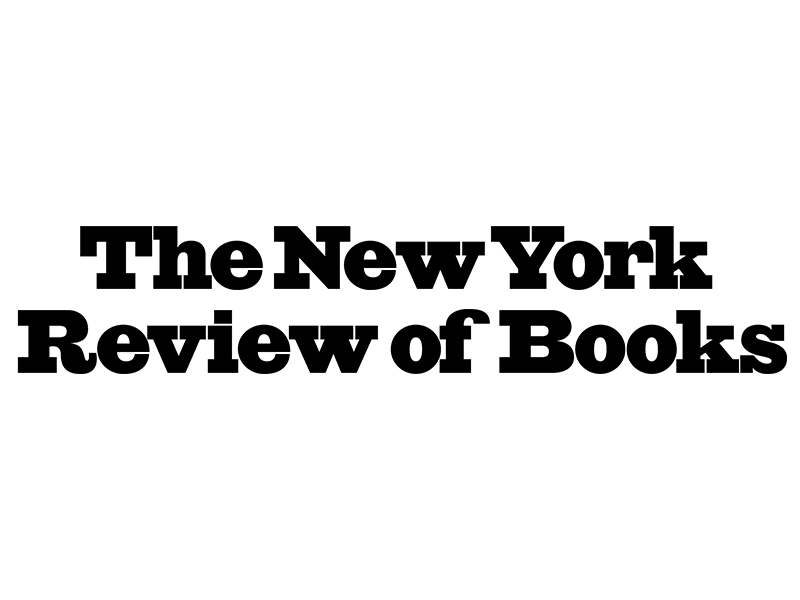 He was questioned about the Lewinsky affair, but he focused on policy issues. 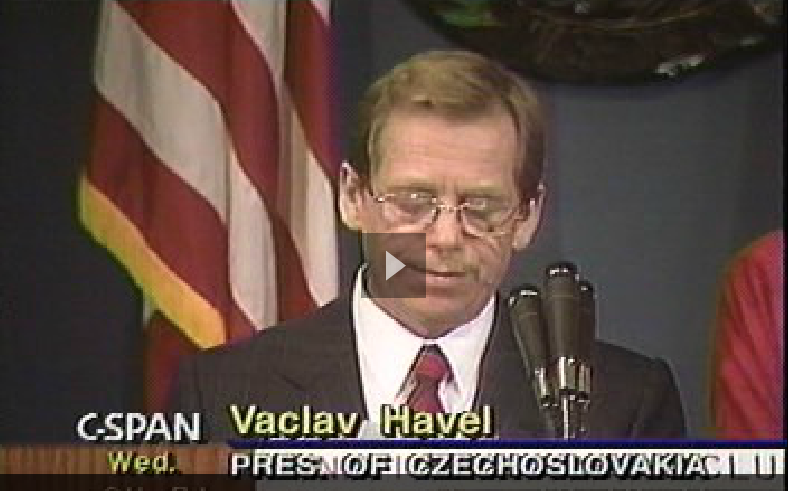 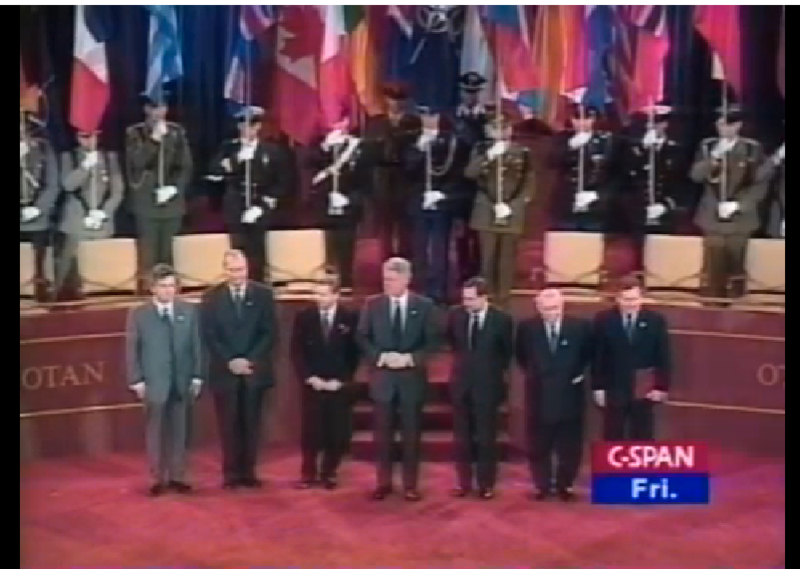 President Havel made a few brief comments about the United States.